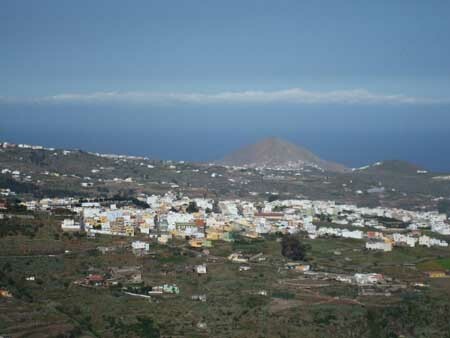 Explore this beautiful municipality of Firgas, Gran Canaria. Villa de Firgas is a municipality located in the middle of the Gran Canaria Islands in the Canary Islands. This municipality has a rectangular shape and it’s the smallest municipality in the island with only 15 square kilometers. Firgas has a smooth climate and its temperature rarely exceeds the 40ºC (104º F). On the winter you’ll neither be cold. Its relief is characterized by having elongated and narrow spines crossed by a network of ravines. The municipality of Firgas has many corners where you might enjoy the close contact with nature, in this rural environment. Part of this municipality is located inside the Doramas Rural Park and the Azuaje Reserve. Moreover, the municipality has other locations known by its natural relevance as the Las Madres de Guadalupe Ravine, the Los Dolores y de Quintanilla Ravine, the Firgas y Pico de Osorio Mountain or even the Las Berreras. The main festivity is the La Villa de Firgas, it’s the festivity dedicated to the patron saint San Roque. This festivity is celebrated on the 16th August. During this festivity many civic, traditional and religious events take place as well as the pilgrimage, the cattle fair or the Bajada del Palo (from the mountain to the city). Other festivities celebrated in this municipality are: San Luis Gonzaga Festivity (on the first sunday in June), San Isidro Labrador (in the town of La Cruz during the month of August), San Luis and Fatima (during the third week of May), the El Sagrado Corazón de Jesus (on 15th June), Santiago Apóstol (25th July in Rosales), the Exaltación de Santa Cruz (19th September in Buenlugar) and Nuestra Señora del Pilar (12th October in Casablanca). Regarding its gastronomy, Firgas might show off about having the best plantations of watercress on the island. Its not strange to understand that this is the main ingredient of their most famous dish: Watercress’ potage. Firgas offers a wide range of possibilities for your meal. If you’re looking to enjoy the most typical dishes of the canary gastronomy, always followed by the agua de mesa de Firgas, the best spring water in the Canary Islands, you’re in the right place. 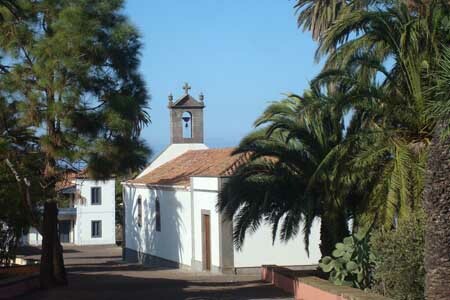 The municipality has many interest points as, for example, the Gran Canarias and the Canary Islands walk path, the San Roque Church, the Casa de la Cultura, its viewpoints network, the Gofio and the Ganadero Museum.